The field of nuclear medicine has had decades of experience in the use of radionuclides for the targeted therapy of disease. The routine use of iodine-131 for the treatment of thyroid diseases began in the 1940s. Unfortunately, however, more than four decades would pass until targeted radiotherapy was applied in other areas. In the 1990s, antibodies and peptides emerged that were capable of specifically binding proteins that are overexpressed on the surface of tumor cells. Several of these antibodies were radiolabeled with iodine-131 for radioimmunotherapy (RIT), whereas a handful of peptides were labeled with radiometals like yttrium-90 and lutetium-177 for peptide receptor radionuclide therapy (PRRT). 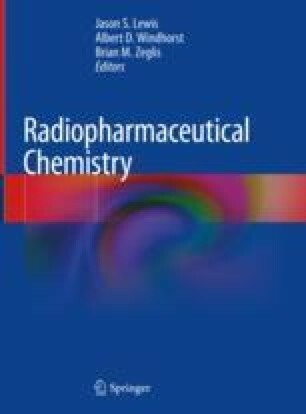 Radiolabeled analogues of the somatostatin receptor-targeting peptide octreotide were used for the treatment of neuroendocrine tumors and were the first radiotherapeutics with widespread success in the clinic. This promise prompted the exploration of further compounds for targeted radiotherapy. Yet despite the excitement surrounding the field, several factors have limited the clinical success of targeted radiotherapy. For example, radiolabeled peptides often suffer from rapid blood clearance, high uptake in the kidneys, high metabolic instability, and/or low accumulation in tumor tissue. Radiolabeled antibodies, on the other hand, often produce high activity concentrations in tumor tissue but have the drawback of slow pharmacokinetic profiles and long serum half-lives, traits which result in high radiation doses to radiosensitive red bone marrow. In the last several years, engineered small proteins (15–60 kD) have emerged as promising alternatives to peptides and antibodies due to their appropriate blood clearance half-lives and favorable biological properties, including high affinity and specificity for their molecular targets. In this chapter, we describe the different components of radiopharmaceuticals for targeted radionuclide therapy as well as the biological background of these therapies. Furthermore, we will elaborate on the clinical potential of radiotherapy both as a stand-alone treatment option and in combination with chemotherapeutics or targeted therapeutics. Wasan HS et al. First-line selective internal radiotherapy plus chemotherapy versus chemotherapy alone in patients with liver metastases from colorectal cancer (FOXFIRE, SIRFLOX, and FOXFIRE-Global): a combined analysis of three multicentre, randomised, phase 3 trials. Lancet Oncol. 2017; 1159–71. https://doi.org/10.1016/S1470-2045(17)30457-6.